This is an Arduino RS485 shield, especially designed for the Arduino controller board. 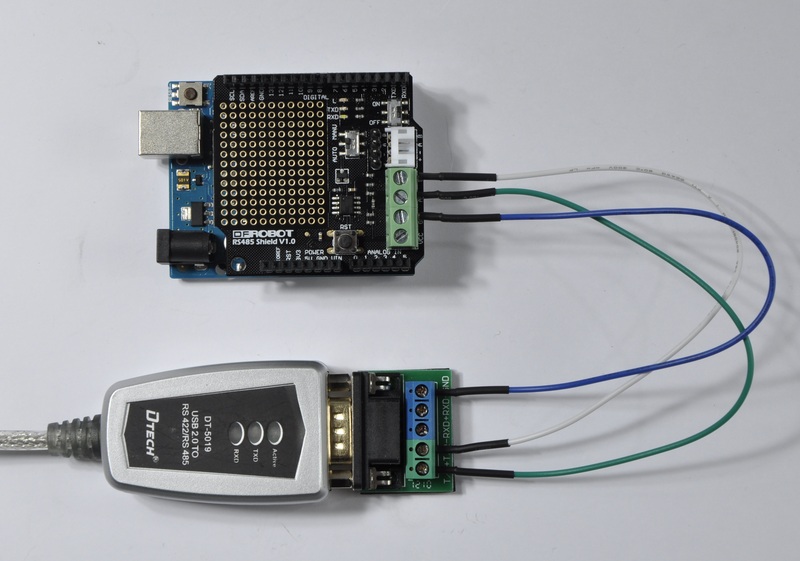 It can easily convert the UART to the RS485. This shield integrates a standard RS485 port ,a mini RS485 port(PH2.0 interface), RS485 headers, and provides the welding areas, so it's convenient for your DIY design.One key changes automatic and manual transmission mode, which expand the scope of application. Operation and programming mode switch: To OFF, you can download the program for the Arduino controller. To ON , the shield will convert the UART to the RS485. Transceiver mode switch: To AUTO, the shield is automatically sending and receiving data, so you do not care about operation timing; To MANU, the shield is in manual transceiver status, and the enable end is the 2nd digital IO port. Enabling high-side power Ping to sending state while the low level of the receiving state. 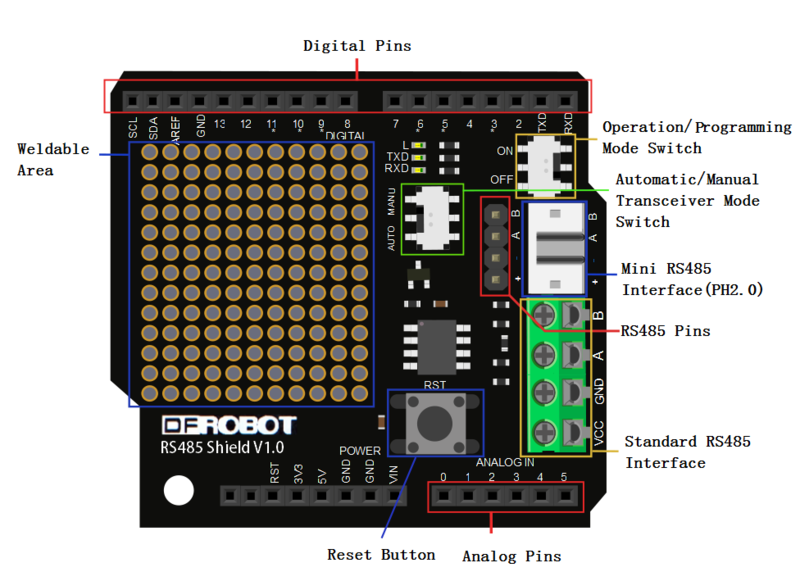 When the RS485 shield is installed on your Arduino controller, and then you will wire the RS485 shiled with USB-RS485 converter to connect terminals, namely: A pair of A, B on B, GND on GND, then download the following sample code (Note: Downloading code, run / program mode switch must hit the OFF position, otherwise it will lead to the download fails. When downloaded,it is complete to ON, and the shield to normal use). Open serial monitor of Arduino IDE, find USB-RS485 converter corresponding serial port, send characters "V", you can see the LED status may change, and reply "OK". # This sample codes is for testing the RS485 shiled(automatic transmission mode). # This sample codes is for testing the RS485 shiled(manual transmission mode).